Congratulations to all our members for visiting the facility and making healthy living a priority. 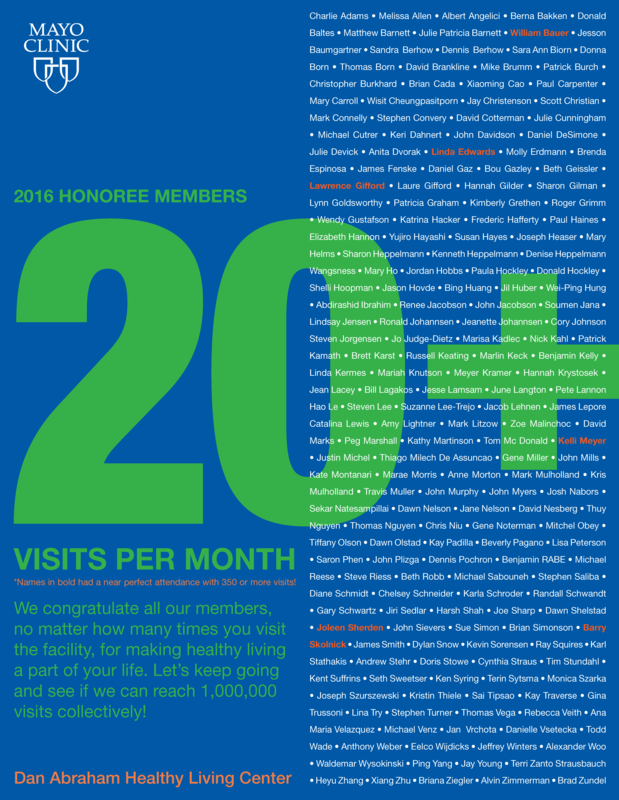 The names listed below are our members who visited the facility on average 20 or more times per month during 2016. The ones listed in orange had a near perfect attendance at 350+ visits total! We encourage you to continue making healthy living a part of your lifestyle. Whether you visit a few times a month or everyday, you are taking care of yourself.